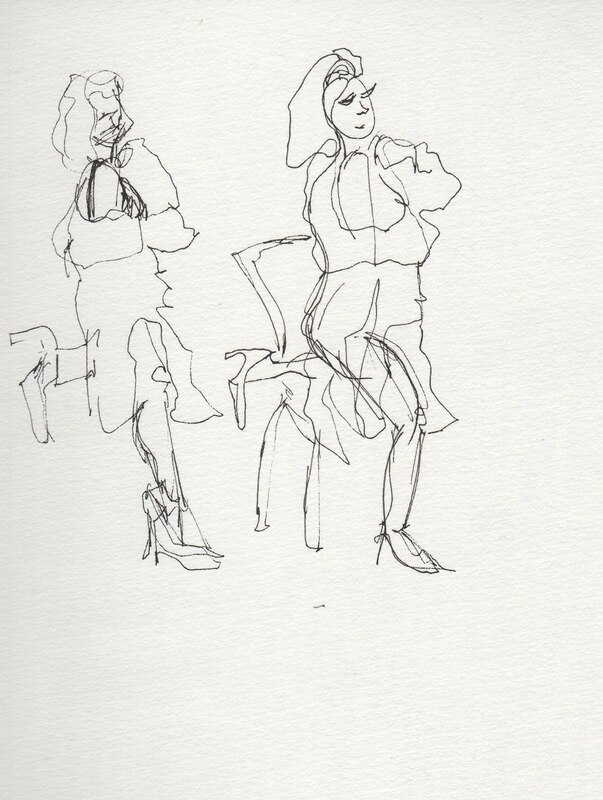 Veronica Lawlor did a terrific session basically designed to teach us new ways to approach life drawing. You can see from the sketches I made during the workshop that it included things like blind contours, non-dominant hand sketches, one-line drawings, and so on. 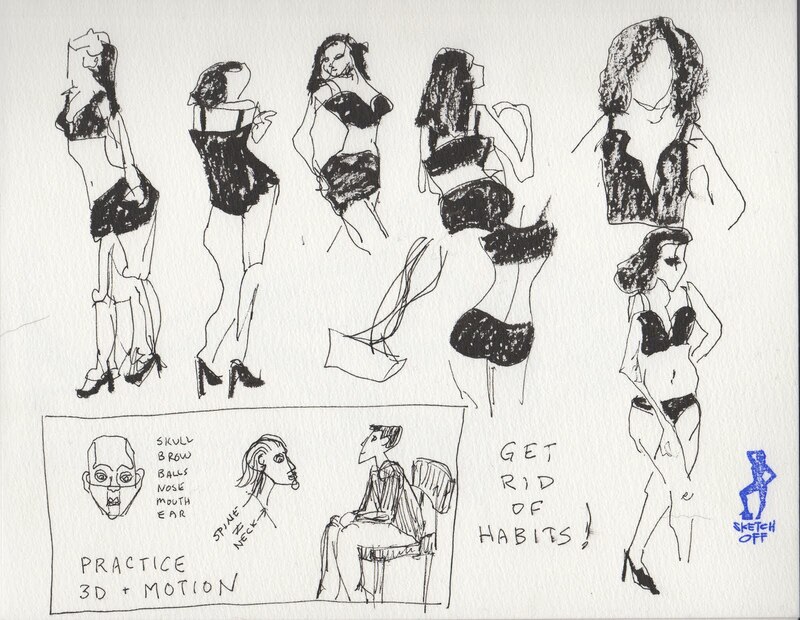 She emphasized that getting rid of "normal" habits of seeing and drawing would open up our drawing skills. After some warm-up lessons, we sketched poses. The models from Dr. Sketchy's were great!